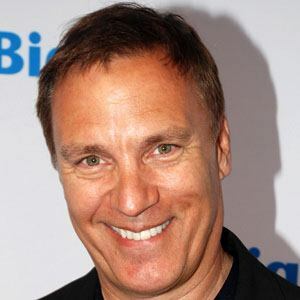 Voted the American Comedy Awards' "Funniest Male Stand-Up Comic" of 1997, this comedian and actor became known for creating a famous, smooth-voiced stand-up character he named "The Lovemaster." Also a comedy writer, he received two Mid-Atlantic Emmys for his work on the PRISM (Philadelphia Regional In-Home Sports and Movies) network. Before beginning his comedy career, he studied at both Temple University and California University of Pennsylvania. During the 1989 calendar year, he toured with soft rock musician Kenny Loggins. Following brief marriages to actresses Nancy Allen and Carolyn Clark, he married his third wife, Mika. He had four children: Jackson, Jared, Justin, and Chloe. He briefly co-hosted The Magic Hour with former basketball star Magic Johnson.